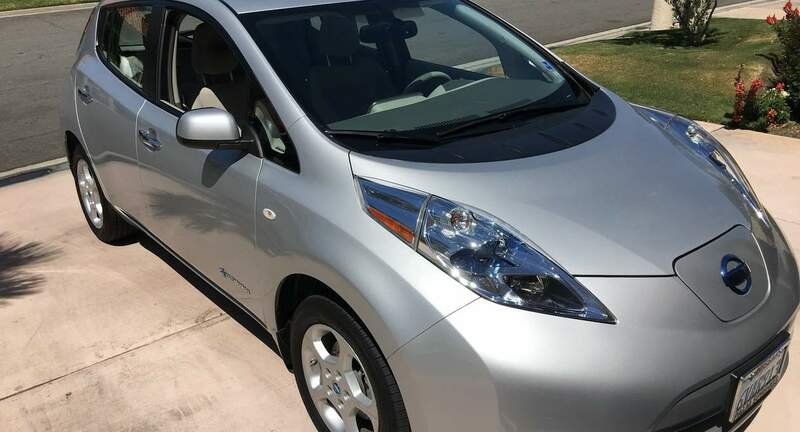 I love my 100% electric cars! PLEASE NOTICE: If you have never experienced driving and charging a 100% electric car, I recommend that you rent a traditional gasoline car. While the learning curve is not difficult, it is a learning curve and you need to know how to charge it at the various free charging stations around the valley, or at the hotel where you are staying (some hotels have charging available for guests). This car has a range of 50-55 miles before the battery has to be charged. It is for local valley driving only. NO TRIPS TO LOS ANGELES! If you drive every day, the vehicle has to be charged every night to be ready to go the next day. Check your hotel to see if charging is available. Three of the biggest, Palm Springs Hilton, JW Marriott Desert Springs Resort & Spa in Palm Desert and the Omni Rancho Las Palmas in Rancho Mirage have FREE charging available! If you are staying with friends, check with them first about charging the car. Depending on how much you use it, you will have to charge it every night. Stephen was very accommodating. We had great trip! A great car and a great owner! Stephen is so pleasant to deal with. Thanks! We loved having the opportunity to drive a 100% electric car. Stephen took the time to explain many things about the car to us. The car was so smooth and quiet and we had absolutely no problems with it. Also there were lots of charging stations all over the city just like he said.